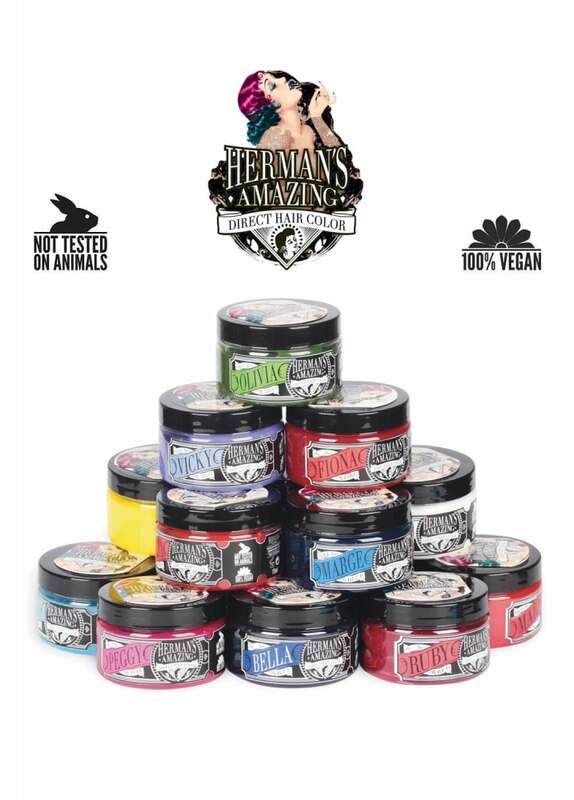 Herman's Amazing Direct Hair Colours come in a rainbow of shades. All their hair dye colours have fabulous vintage names, are 100% vegan and cruelty free. These semi-permanent hair colours show the best results on pre-lightened hair. So try Vicky Violet or Gilda Grey today!